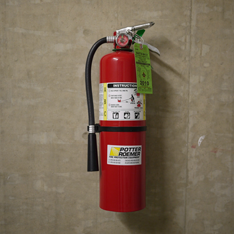 As a leading provider of fire safety, we take pride in offering the best fire extinguisher service. Every business in Florida is required by law to have adequate fire extinguishers on the premises at all times. At Redi Fire, we sell, service, and certify fire safety equipment for all types of companies, including office buildings, restaurants, shopping malls, and more in Orlando, DeLand, Sanford, DeBary, Orange City, and surrounding Central Florida. We make sure that you have the right type of extinguisher and the proper amount of solution to provide coverage for the building size. Our technicians also perform annual inspections for these units. Learn more about the services we offer. At Redi Fire, we are committed to ensuring the fire safety standards of your company, so we make sure you are property prepared for any fire. We proudly service all of Volusia and Seminole County such as Orange City, DeLand, DeBary, Deltona, Sanford, Lake Mary, and it's surrounding areas. For more information about fire safety and our services, leave us a message anytime. As a leading provider of fire safety, we take pride in offering the best fire extinguisher service. At Redi of Orlando Fire Extinguisher Company, we are dedicated to serving the needs of our customers each and every day. We provide fire equipment sales and services to businesses in the Orlando, Florida, area. We are happy to inspect, test, and recharge portable units that ensure the safety of your building. Our founder worked as a firefighter in the Air Force for 10 years, and he started this business more than 25 years ago. Ever since, he has been ensuring the readiness of companies in the area.